DOS version has severe difficulties starting in DOSBox, frequently requiring the game executable to be run multiple times to even start successfully. Windows version has abysmal AI and no multiplayer. Bonus content includes the DOS version pre-packaged with DOSBox. Does not include HD version. HD version and classic Windows version. All digital releases include the official mission packs. Go the configuration file location. Windows save game data location is shared between classic and HD but saves are not compatible. HD version has native support. False for classic Windows and DOS versions. Toggle with Alt+↵ Enter when using DOSBox. False for native Windows versions. Not available in the GOG.com version. Available on Steam, despite not being stated in the store page. The native Windows version does not have multiplayer; the GOG.com version includes the DOS version in the bonus content. Using DOSBox IPX tunneling (GOG.com version is pre-configured for this). ↑ 1.0 1.1 File/folder structure within this directory reflects the path(s) listed for Windows and/or Steam game data (use Wine regedit to access Windows registry paths). Games with Steam Cloud support may store data in ~/.steam/steam/userdata/<user-id>/253860/ in addition to or instead of this directory. The app ID (253860) may differ in some cases. Treat backslashes as forward slashes. See the glossary page for details. 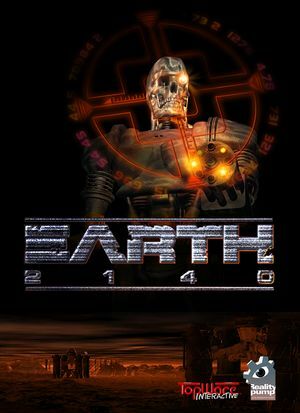 ↑ GOG.com forums, "A question about EARTH 2140's AI"
This page was last edited on 27 March 2019, at 21:13.